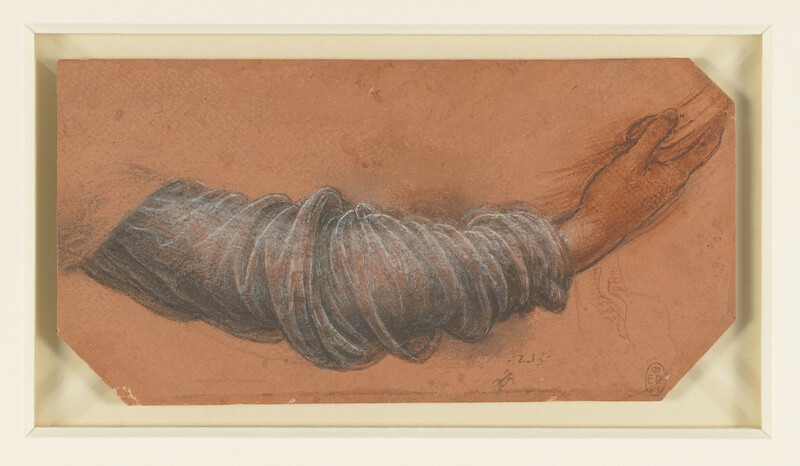 A study of a right arm outstretched to the right, the hand with the palm upwards, clothed in folds of transparent drapery from the wrist to the shoulder. The hand, which is in part shaded from right to left, is completely made over by a pupil. This is a study for the Madonna's arm in the Madonna and Child with St Anne and a lamb, now in the Louvre. Three corners of the sheet have been cut.